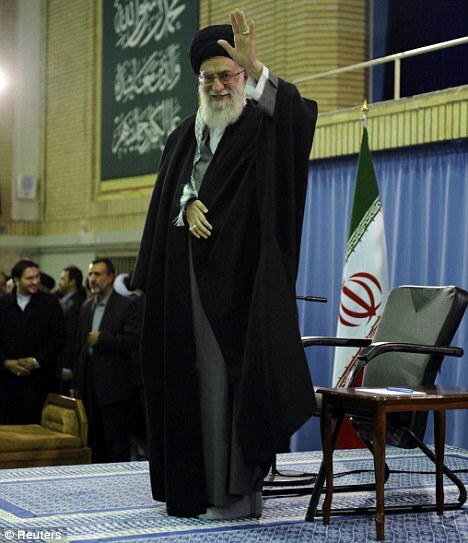 Threatening Iran and attacking Iran will harm America,’ Iran’s Supreme Leader Ayatollah Ali Khamenei warned in a defiant speech on Friday. ‘Sanctions will not have any impact on ‘our determination to continue our nuclear course’ and it will impose any threats ‘at the right time’, he added. Please read the above quotes taken from the article that I linked to. I believe that any reasonable person, can plainly see the writing on the wall as it were. War is coming. There is a clash of civilizations – something which I wrote about in P.P.&S – that is about to reach a crescendo. As I mentioned in an earlier BLOG this week, the tension between Islam and Israel is based on supernatural events that have shaped the culture and body politic, in different ways. If those events had never happened the Middle East would not be in the “fix” that we see it in today and everyone would be eating milk and cookies together. However, what we see is unmitigated vitriol against Israel that continues without a comma, day after dar, week after week and year after year. When will our so-called leaders realize that once, not if the Iranians achieve nuclear status they will use there newly acquired weapon to fight against the Zionist regime. Khomeimi has stated this “goal,” as well as President, Mahmoud Ahmedinejhad. War is coming to the region and from my perspective it is the fulfillment of prophecy that was written thousands of years ago. This war will be a game changer as I have stated numerous times. I believe it will lead to the Time of Jacob’s Trouble – not Bob, Fred, or Ernie’s – as I constantly remind the readers here. Every day we get closer to some conflict. While there are no stories In The Other News Section today about Syria, the tension and conflict continues there. There are thousands of missiles pointed at Israel from the North and now from Gaza. Israel gave up the Gaza strip in hope of the promise of land for peace. However, there was no peace and even before the last Israeli had left the settlements the rockets and mortar fire started from Gaza across the border into Israel.